Music has always been an integral part of people’s lives in relation to God. We see songs being sung and music being played all throughout the Bible. In fact, singing appears to be a reflection of God’s character in people: “The LORD your God in your midst, the Mighty One, will save; He will rejoice over you with gladness, He will quiet you with His love, He will rejoice over you with singing.” Zephaniah 3:17. 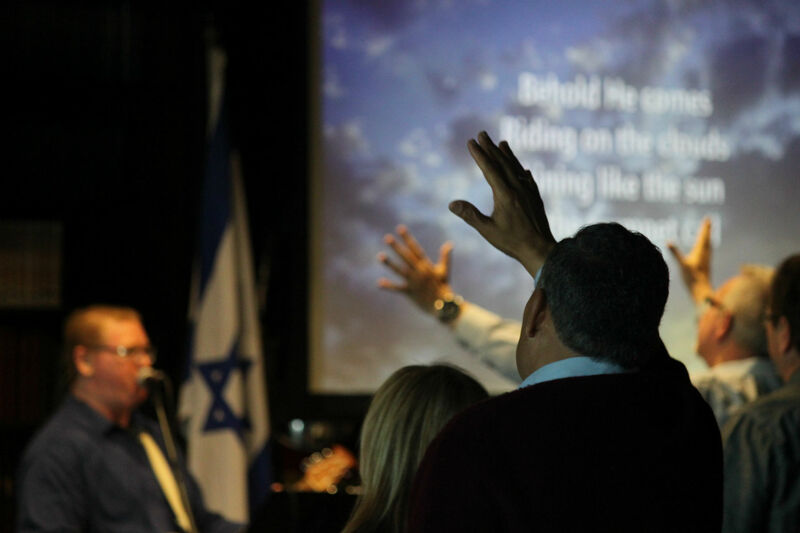 At Calvary Chapel French Valley, we view singing songs to God as an opportunity to pour out our hearts of love to him. We gather together in song each Sunday to celebrate His grace and mercy, and to remember how He continues to work in our current trials. The vision of the Calvary Chapel French Valley Worship and Multimedia team is to create an environment in which the worship of God is visible, meaningful, and transformational. Our mission is to lead people in engaging their mind, body, and soul in the exaltation and glorification of God, in Christ Jesus, through the Holy Spirit, in love and humility, not necessarily through music. The music team is a group of believers who gather to prepare the songs that will be sung by the church. All members of the team are active in their walk with the Lord and together lead the congregation in lifting praises to Jesus using their musical gifts. Our goal is not to be the best worship team in the world but to be a team that helps lead people into better relationship with their Savior. The media team is essential to achieving clear communication of the Gospel. We are thankful for the tools that are available to us through technology, but we understand the danger in becoming distracted by them. Our objective to help increase clarity and reduce distraction for anyone that might be listening. This includes the worship service on Sunday mornings but also extends to managing the live stream and archiving the audio and video recordings. Do you play an instrument or sing? Do you love technology, and are you interested in learning about sound or presentation equipment? Do you just have a heart to serve? We invite people of all skill levels – zero to a hundred – to join the Worship and Media team! Please feel free to approach anybody serving in those areas or fill out a ministry application to learn more! Fill out the form to the right to contact the Worship Ministry. Pastor Rick Lancaster continues a topical series about What’s Important? In this second message of four, Rick looks at what worship is, and why it is important.